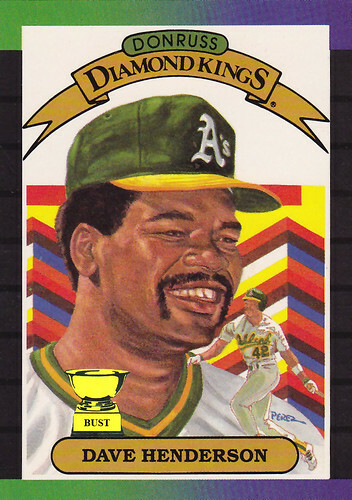 Tiny Hendu: "Hey, where'd my mustache go?" Giant Hendu: "I'm going to eat you!" TH: "Holy Jeebus, it's a giant me!" GH: "Here I come, comin' to eat you!" TH: "Ah, crap. Maybe I can blend into the background? Um, never mind. Christ, there are enough colors there to make Skittles. ... Wait, maybe ... (Scurries around behind Giant Hendu). Hey, over here, dummy!" TH: (Stabs tiny bat into Giant Hendu's eye, killing him) "Take that, you big freak! You ain't gonna eat nothin'! ... And give me back my mustache!" Note the circa 1985 softball jersey on GH.